With the growing demands for bandwidth that makes 100G network developed rapidly. 100G optical module is to be an important part of 100G network, and now many standards and form factors has been emerged on the market. Here we will introduce the related knowledge about 100G optical module in detail. According to different form factor, 100G optical module can mainly be divided into CFP／CFP2／CFP4、CXP and QSFP28. Among them, CFP／CFP2／CFP4 and CXP is the early form factor of 100G optical module, but QSFP28 is the new-generation form factor of 100G optical module, which is become the mainstream form factor of 100G optical module now. The principle of 100G QSFP28 optical module is similar to 40G QSFP+’s which adopts the way of 4 x 25 Gbps to transmit 100G optical signal. The transmission rate of CXP optical module can reach 12 x 10Gbps, supports hot-pluggable, is the supplement of CFP optical module in the Ethernet data center. The size of CXP is larger than XFP and CFP optical module, and it can provide high-density network interface. CXP is mainly designed for high-speed computer application. The volume of CFP series optical module is getting smaller, the width of the CFP4 optical module is half of the CFP2’s, and the width of the CFP2 optical module is half of the CFP’s, they all can meet the needs of 40G and 100G network transmission that support 100Gbps data transmission, but CFP4 is more suitable for high-density network application. As a 100G optical module with small size, QSFP28 optical module has also been more and more popular. Compared with CFP4 optical module, QSFP28 is only smaller than CFP4. 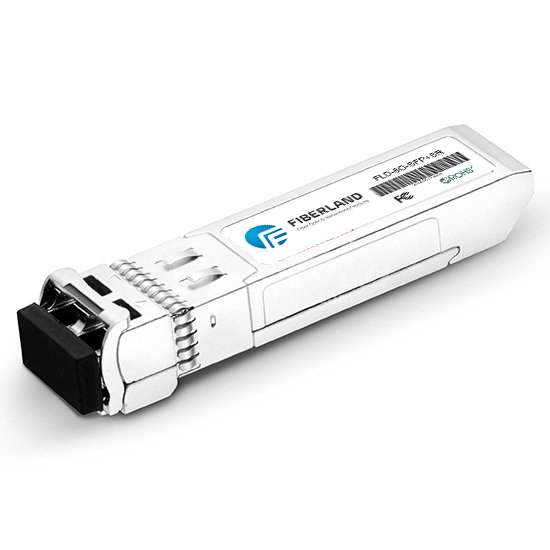 Although QSFP28 has a better performance on density than CFP4’s, the higher power consumption of the CFP4 optical module gives it an advantage over longer distances of optical transmission. Since the advent of the 100G network, IEEE, Multi-Source Agreement (MSA) etc. had proposed multiple standards that designed to 100G optical module. Among these standards, PSM4 and CWDM4 standard which made by MSA industry organization is more suitable for 100G QSFP28 optical module on the market. The following table shows the details of 100G optical module standard. The release of 100G PSM4 standard is mainly used to decrease the cost of 100GBASE-LR4 optical module, 100G PSM4 is the single-mode parallel 4-channels optical module, which is mainly applied to 500m application situation in the data center. 100G CWDM4 standard is mainly for 2km 100G link deployment and development in the data center. The interface of 100G CWDM4 optical module complied with the standard of duplex single mode fiber 2km 100G interface which transmission distance up to of 2km.